“Why might Shakespeare have chosen to start ‘Macbeth’ with the three witches? (pause) Alex?” This seems better on the surface, asking the question, then giving wait time, then referring to Alex. But is there any real guarantee or that all students will be thinking? Possible solution? In the video below, Dylan William describes the difference between ‘table tennis’ and ‘basketball’ style questioning, an analogy which I’m sure many teachers are familiar with. This ties in with the technique Pose, Pause, Pounce, Bounce which you can read about here. After repeating the question, and giving plenty of wait time I’ll ask a student to offer an answer, before passing the question onward and building a discussion. 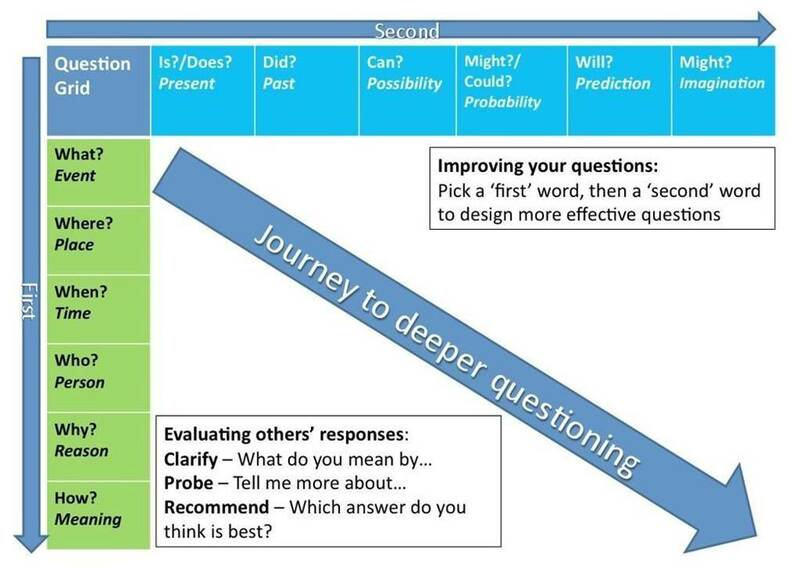 This page from @MsFindlater collects together a range of very useful blog posts on questioning. Often, I return back to this post from @HuntingEnglish, giving ten clear and easy to follow questioning strategies. This is also where I first saw the Dylan William video. Outcome. Just as repeating instructions tends to lead to greater clarity before an extended task, repeating and rewording the question tends to lead to more thinking and more valuable discussion. With enthusiastic younger classes this means more excitable faces, more hands flying up into the air and more incredulous expressions as I demand on ‘no hands up’. With older classes, more meaningful discussion, more students willing to build on each other’s ideas, and less students idly letting just one of their peers do all the thinking.